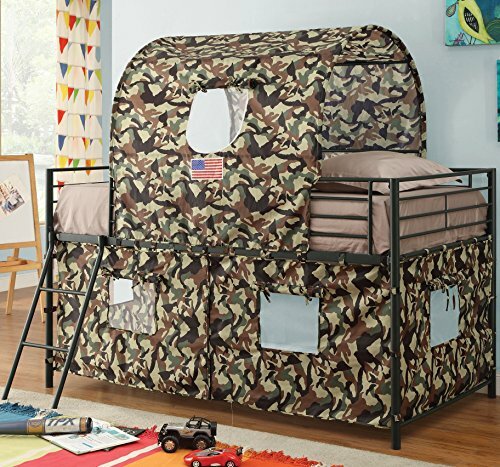 Pacific Play Tents HG Camouflage Twin Bed Tent encourages your child's imagination at any time of the day. The easy to assemble lightweight frame supports the nylon shell that has a wide opening, Velcro closure "T" style door. 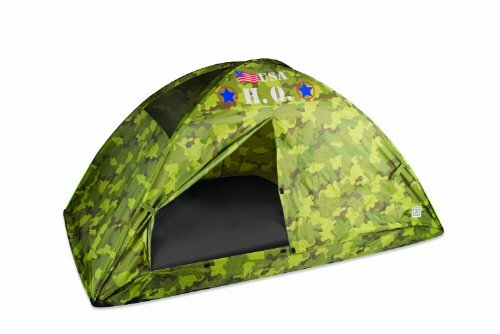 This bed tent provides a secure play area during the day and a fun sleep experience at night. A treat for any imaginative child. Fits a standard size twin bed. Can be used on or off the bed. Easy cleaning with a damp cloth and mild soap. Carry bag included. 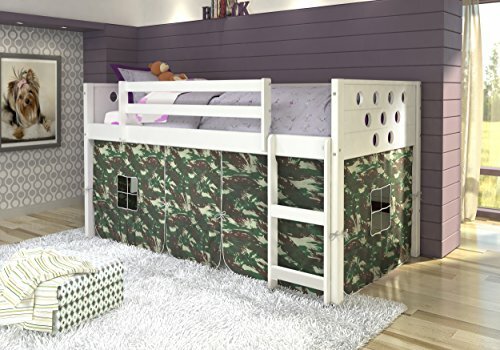 Twin louvered low loft with camo fabric. This bed allows for a large open play area under the bed or storage area that can be concealed by the tent fabric to keep the room neat in appearance. 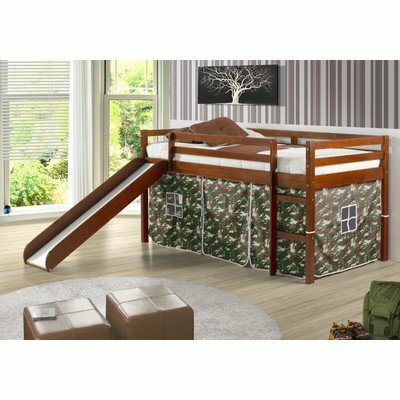 Your son or grandson will love this Twin Loft Bed to live the pretend life of G.I. Joe with lots of creativity, fun and games. 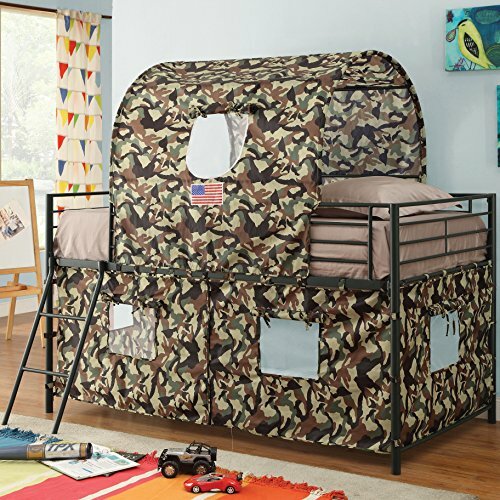 The Army Style Camouflage Tent Mesh covering with window flaps for privacy will feel like he has his own tent, "fort" or club house to experience with his friends underneath the Twin Loft Bed. The extra space below can also be used for storage, a place to put away toys, or even another twin mattress. 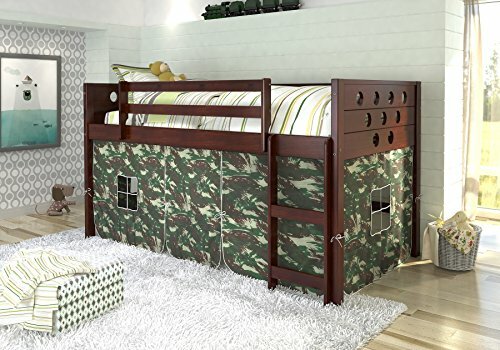 This durable metal Twin Loft Bed will bring years of enjoyment and use for the boys in the family. Note: The mattress, box springs and bedding (such as a comforter, sheets, pillows, etc.) are NOT included in this purchase. Bed Dimensions: 72.7" H x 41.8" W x 77.6" L Product Weight: 62.2 lbs. 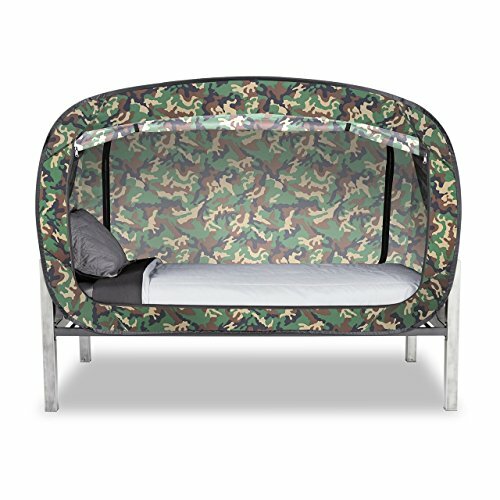 Twin circles cappuccino low loft with camo tent fabric. 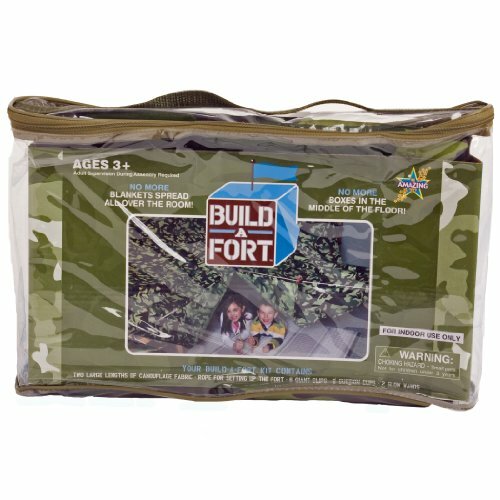 Has great under bed play area with tent fabric or can be used for storage and items concealed by tent for a neat appearance in the room. 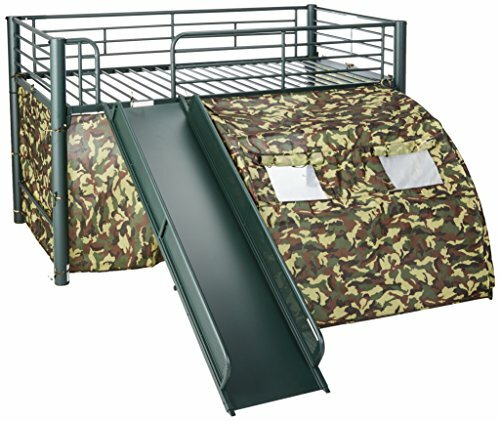 750TE_C Finish: Light Espresso, Color: Camo Features: -Twin size.-Comes with slide and slat-kits.-Mini slide helps to launch kids out of bed in the morning.-Under-bed tent encourages creative play.-43.25" H x 78" W x 41.25" - 91" D, 81 lbs. Construction: -Solid pine wood construction with integrated ladder. Color/Finish: -Durable wax finish protects surfaces from wear. Donco Trading Co. is a family owned and operated Import and Wholesale Furniture business. Specializing in Youth Furniture, we carry a large selection of Bunk Beds, Stairway Bunk Beds, Captains Beds, Trundle Beds, Day Beds, & Platform Beds. Offering great value, along with strong styles, and promotional on price. We also offer Contemporary Furniture designs, Futons, Specialty Sleep products, Metal bed frames, Waterbed accessories, & more! The Privacy Pop Bed Tent Gives Maximum Privacy! We are looking at introducing a camo version of the Cinch. - Watch this space for more info. 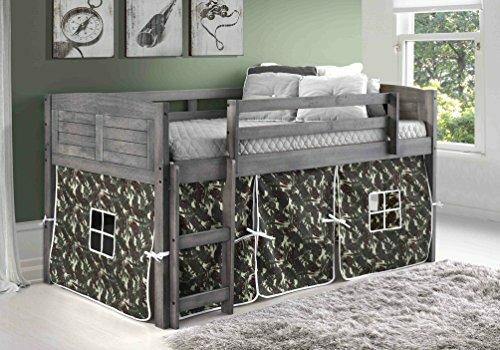 Compare prices on Twin Bed Tent Camo at ShoppinGent.com – use promo codes and coupons for best offers and deals. Start smart buying with ShoppinGent.com right now and choose your golden price on every purchase.